Home » Healthcare Cybersecurity » Is Google Drive HIPAA Compliant? Google Drive is a useful tool for sharing documents, but can those documents contain PHI? Is Google Drive HIPAA compliant? The answer to the question, “Is Google Drive HIPAA compliant?” is yes and no. HIPAA compliance is less about technology and more about how technology is used. 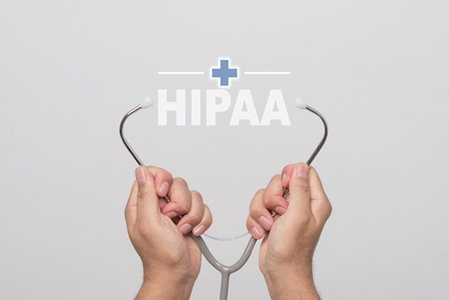 Even a software solution or cloud service that is billed as being HIPAA-compliant can easily be used in a manner that violates HIPAA Rules. G Suite – formerly Google Apps, of which Google Drive is a part – does support HIPAA compliance. The service does not violate HIPAA Rules provided HIPAA Rules are followed by users. G Suite incorporates all of the necessary controls to make it a HIPAA-compliant service and can therefore be used by HIPAA-covered entities to share PHI (in accordance with HIPAA Rules), provided the account is configured correctly and standard security practices are applied. The use of any software or cloud platform in conjunction with protected health information requires the vendor of the service to sign a HIPAA-compliant business associate agreement (BAA) prior to the service being used with any PHI. Google offers a BAA for Google Drive (including Docs, Sheets, Slides, and Forms) and other G Suite apps for paid users only. Prior to use of any Google service with PHI, it is essential for a covered entity to review, sign and accept the business associate agreement (BAA) with Google. It should be noted that PHI can only be shared or used via a Google service that is specifically covered by the BAA. The BAA does not cover any third-party apps that are used in conjunction with G Suite. These must be avoided unless a separate BAA is obtained from the provider/developer of that app. The BAA does not mean a HIPAA covered entity is then clear to use the service with PHI. Google will accept no responsibility for any misconfiguration of G Suite. It is down to the covered entity to make sure the services are configured correctly. Covered entities should note that Google encrypts all data uploaded to Google Drive, but encryption is only server side. If files are downloaded or synced, additional controls will be required to protect data on devices. HIPAA-compliant syncing is beyond the scope of this article and it is recommended syncing is turned off. To help HIPAA-covered entities use G Suite and Google Drive correctly, Google has released a Guide for HIPAA Compliance with G Suite to assist with implementation.